Sophie Mae was an old established brand in the south that needed a boost in image and sales. A new exciting package design was created to reintroduce it back into the retail market. 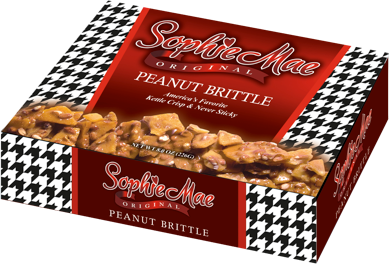 In addition to Peanut, a Cashew Brittle was created for the relaunch.